Why See Al Di Meola? Goodness gracious great frets of fire! 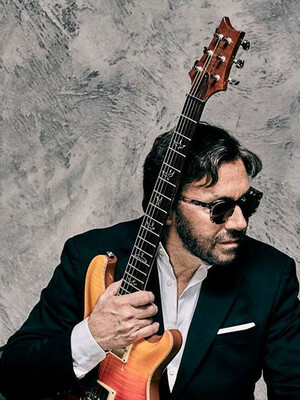 Al Di Meola is once again hitting the road and bringing his flaming licks and lightning fast fretwork to the stage on the on his Opus & More Tour! Featuring music from his newest release, don't miss your chance to catch this veritable jazz genius live on stage this winter. Mr Di Meola has long been hailed as one of the world's greatest guitar virtuosos, traversing between jazz, rock, blues and world music with every one of the 20+ albums he's released. His shows are renowned for their high levels of musicality and musicianship, shifting from explosive guitar lines to playful melodies and syncopated phrases and back again, all within the space of one song! Sound good to you? 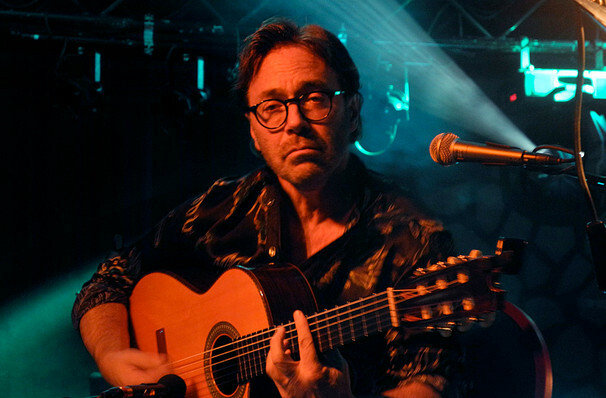 Share this page on social media and let your friends know about Al Di Meola at The Space at Westbury. Please note: The term The Space at Westbury and/or Al Di Meola as well as all associated graphics, logos, and/or other trademarks, tradenames or copyrights are the property of the The Space at Westbury and/or Al Di Meola and are used herein for factual descriptive purposes only. We are in no way associated with or authorized by the The Space at Westbury and/or Al Di Meola and neither that entity nor any of its affiliates have licensed or endorsed us to sell tickets, goods and or services in conjunction with their events.